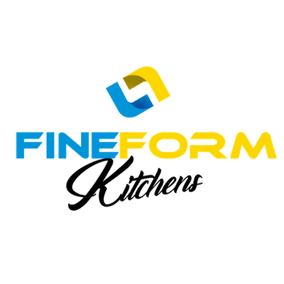 Fine Form Kitchens is a trusted builder of custom cabinets and benchtops in Perth. We use quality materials, specialised equipment and modern manufacturing techniques to produce personalised, stylish, attractive and functional products. We create masterpieces that are ideal for homebuilders, residential or office remodels and kitchen renovations. Constructed to Australian Standards, our benchtops and cabinetry work are well-suited for kitchens, bathrooms and laundry applications. Wanting a more customised and classy-looking kitchen? Or maybe thinking of taking your kitchen outdoors? Does your bathroom need a more unique design concept suitable to your personal style? Is your home feeling like it’s a little outdated in terms of ambience and colour schemes? Don’t adjust to your home’s old look; make your home adjust to your lifestyle! At Fine Form, we understand that improving the main areas of your home can be a lot of work, particularly a kitchen redesign or a bathroom renovation. From laying out the plan, to picking out the best colour patterns and combinations, to obtaining hardware replacements and fixtures, to choosing the best finishes, and more – these aspects to be completed in a limited time and budget. But you don’t need to think of all the hassle! Fine Form Kitchens can take care of all these for your convenience. Apart from guaranteed quality service, we’ll provide a design that’s stunning and timeless and is customised to suit your every preference. Our fully-trained and experienced staff in Perth have been in the industry for over 20 years. Their expertise and passion for their craft guarantee top-quality custom products and exceptional customer service every time. Apart from that, they devote extra time and effort to ensure that Fine Form creations are elegant, well-designed and reflective of our clients’ unique personalities. Finally, Fine Form Kitchens produces washable products that are resistant to moisture, bacteria build- up and cracking. With the added benefit of durability and practicality, our customers get the cabinet and benchtop designs that they truly deserve. All it takes is your vision, and Fine Form Kitchens will make that vision into a reality.